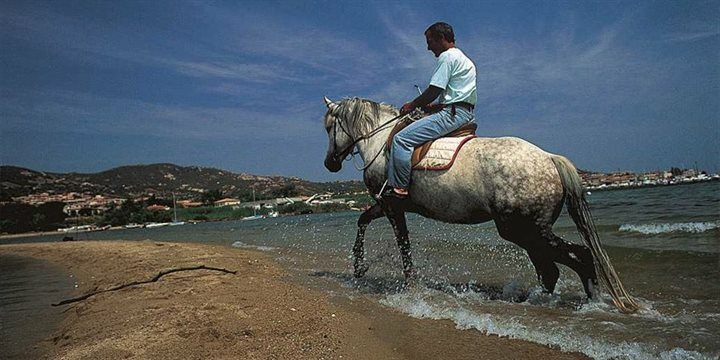 Wherever you stay on Sardinia you will not be too far from stables as the island has a long tradition of horse riding. Hacks and excursions for all abilities are available including children's rides, tours through breathtaking mountain scenery and beach rides. Whether a beginner or an experienced rider this is a fantastic way to discover hidden Sardinia and explore areas that cannot be reached by car. Sardinia's Gennargentu mountain range is one of the last regions in Europe with free-roaming wild horses. Horses play a large part in the culture of Sardinia which is reflected in their many festivals and processions. Horse riding has grown in popularity over the years and as a result the island now offers some excellent equestrian centres. Bridleways vary from coastline paths with the chance to ride along the beach, to inland amidst the stunning landscapes. Many organised rides include a stop for swimming and some options even include night rides giving you the chance to watch the sunset and experience the countryside by moonlight.